EKR boilers were designed for users having very small boiler rooms. The main advantage of the EKR boilers are minimal dimensions and simple servicing limited to the firing of automatic furnace and removal of ash. Boiler’s heat exchanger is made of boiler steel of thickness 5 mm and structural components of retort burner are made of high-quality heat-resistant cast iron. Boiler is intended for automatic combustion of eco pea coal of grain size 5-25mm. 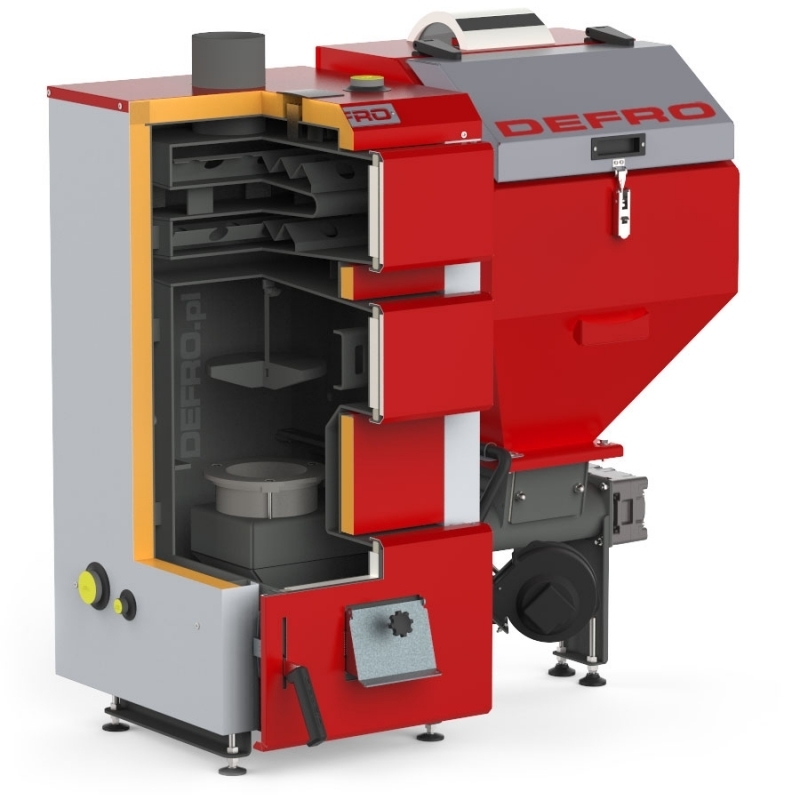 Automatic furnace is cyclically supplied with small portions of fuel directly to the grate of retort, while forced draught fan supplies precisely selected amount of air to the specified areas of the furnace. It allows obtaining high efficiency of combustion process and extraordinary low emission of noxious substances. Microprocessor controller is used for supervision of combustion process and maintaining of temperature set for boiler. CLASSIC NOTE! Please specify side of the container (left or right) during ordering of the EKR boiler.